Today, we’d like to recommend a very enjoyable and fun plan for you and your baby. What do you think about going on a picnic? Babies love to be outdoors and preparing a picnic to spend a few hours in the garden, park or the countryside can be most enjoyable. While you enjoy yourselves, your baby will not stop trying out and discovering new things surrounded by nature. Yet in order for the picnic to be a success, you must be prepared! It’s important that you choose the right place, namely somewhere shady so that your baby is comfortable but not exposed to the sun and, whenever possible, somewhere with few potential dangers. A nice lawn is better than pebbly or sandy terrain which will most likely end up in your baby’s mouth. A blanket for baby to romp around on freely. A change of clothes in case your little adventurer gets into trouble. Some food, such as cookies, fruit and, of course, baby bottles if needed. 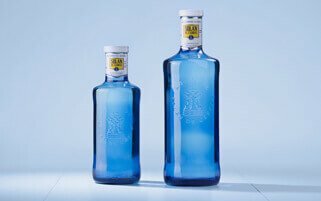 Your bottle of Solán de Cabras to keep your baby, and yourselves of course, perfectly hydrated!